Went to be with the Lord on Saturday, January 19, 2019 at the age of 96 years. Survived by her loving family: daughter Marilyn (Roger) Miller; son Ken Hiller; grandchildren Brad (Michelle), Chanda (Jon) and Carissa (Alex); and great-grandchildren AJ, Troy, Abbie, Brett, Ayden, Austin, Brody, Landon, Adelyn, Dawson and Kashton. Linda is predeceased by her husband Ed on October 12, 2011. A Celebration of Linda’s life will be held on Sunday, January 27, 2019 at 3:00 pm at Springfield Funeral Home, 2020 Springfield Road, Kelowna, BC. In lieu of flowers, memorial donations may be made to the Central Okanagan Hospice House, 2035 Ethel Street, Kelowna, BC V1Y 2Z6 (cheques made payable to KGH Foundation c/o Central Okanagan Hospice House) www.kghfoundation.com. THIS SERVICE WILL BE LIVE STREAMED/BROADCAST Sunday, January 27, 2019 at 3:00 PM. 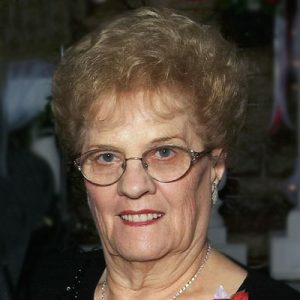 The service for HILLER, Linda is scheduled for Sunday, January 27, 2019 at 3:00 pm . Below you will find the map for the service location and the contact information should you have any questions. Dear Ken and Marilyn, we extend to you our heartfelt sympathy. So many good memories. Like your mom taking in the whole hockey team for a weekend. Your parents were always so gracious to me. May you experience the grace and comfort of the Lord. Praying for you. Will be with you in spirit on Sunday. We are so very sorry for the loss of your mom and our dear aunt Linda. God’s blessings on all of you. Thinking of you all at this difficult time to say goodbye to your dear mom. She was always so sweet. Glad our parents and families have been friends for many years. Wish we could be there to celebrate her life this weekend. Extending our sincere sympathies to you as you say goodbye to your Mom—remember her as a warm, loving lady.